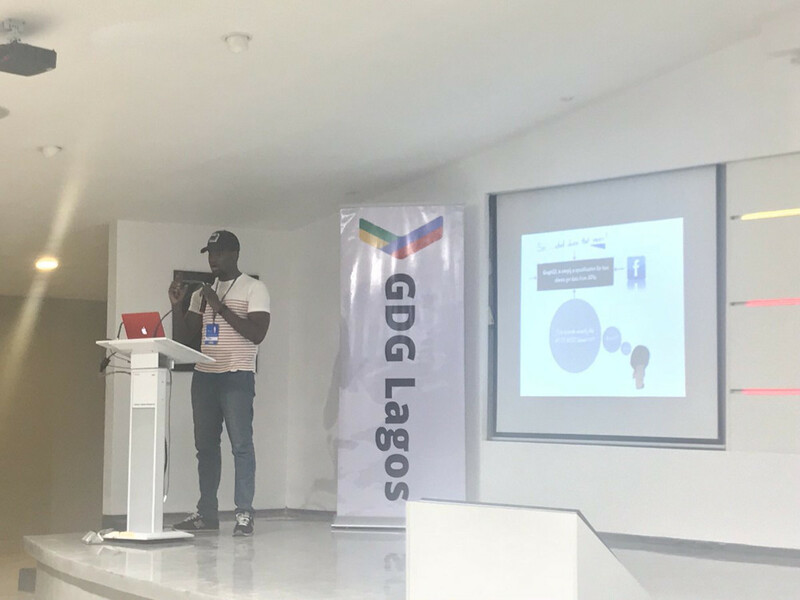 Note from Cloudinary: Christian Nwamba, a frequent Cloudinary contributor, recently attended, and was a main speaker, at the Google Developer Group (GDG) Conference in Lagos, Nigeria. Christian led a session teaching more than 500 developers how to “Build Offline Apps for the Next Billion Users.” The stack he used included JS (Vue), Firebase, Service Workers and Cloudinary. Below is his account of the conference and his talk. 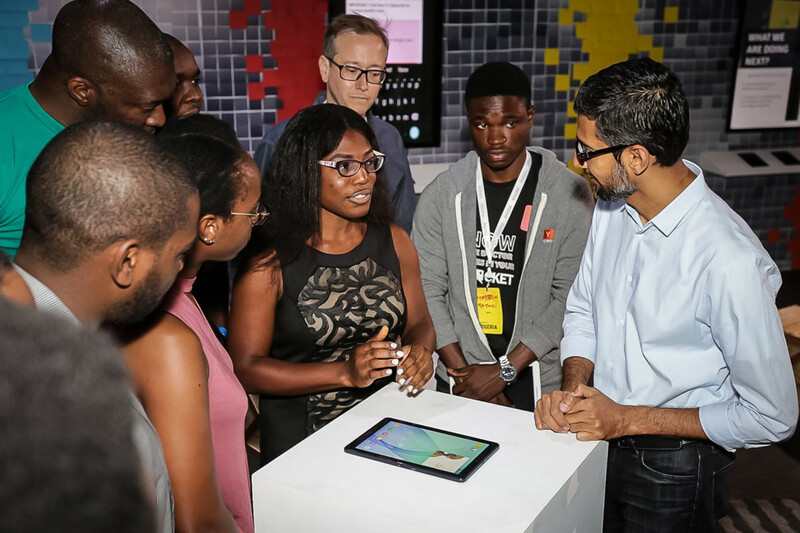 When Sundar Pichai got on a plane to Nigeria to herald the latest edition of Google For Nigeria, he knew that there would be more than learning about and enjoying the rich culture of a vast and diverse nation. In addition, he would be meeting with a lot of brilliant minds who play crucial roles in Google’s vision for the internet and its next billion users – Nigerians, who are tech inclined and otherwise budding, vibrant and full of energy. It was this energy that attracted Pichai to the scene. Without the astounding effort from hardworking Nigerians, such as Titi Akinsanmi, head of Policy and Government Relations for Google Africa, the presence of the man who took the helm of Google some two years ago might have never been felt. 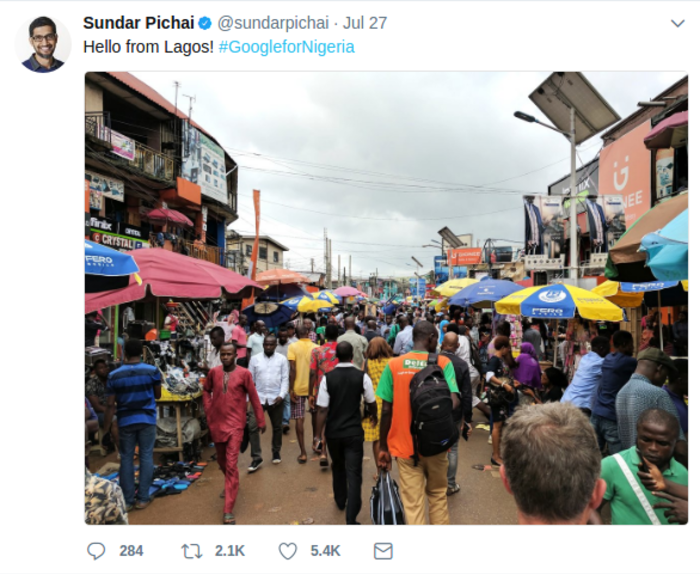 It was no surprise that Pichai decided to visit Lagos, the most populated city in Nigeria. While taking a walk in “Computer Village,” the city’s busiest market known for dealing in gadgets and technology, he couldn’t help but admire the versatility and diversity of the average Nigerian. 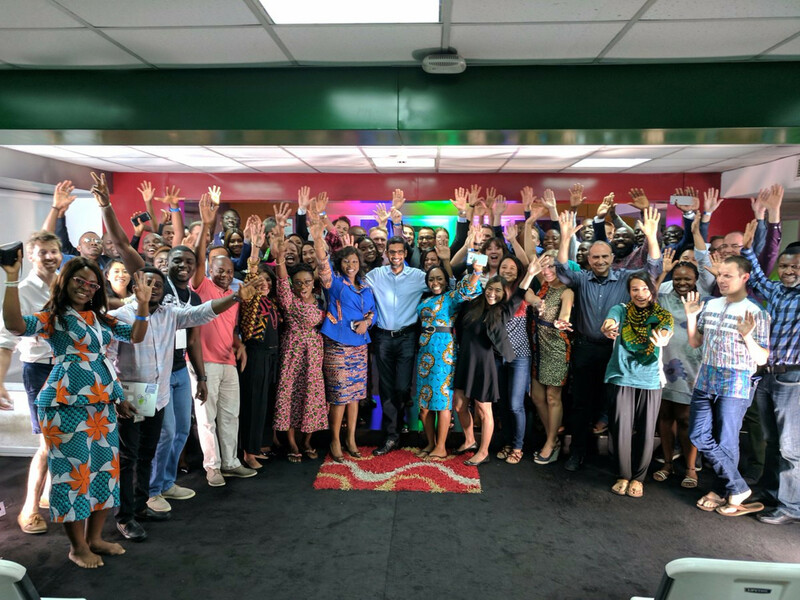 In a bid to do more than just support African entrepreneurs in creating successful tech startups and content, Google’s Launchpad Accelerator program will make more than $3 million available to more than 60 African startups for equity-free funding, working space and access to expert advisers over three years. 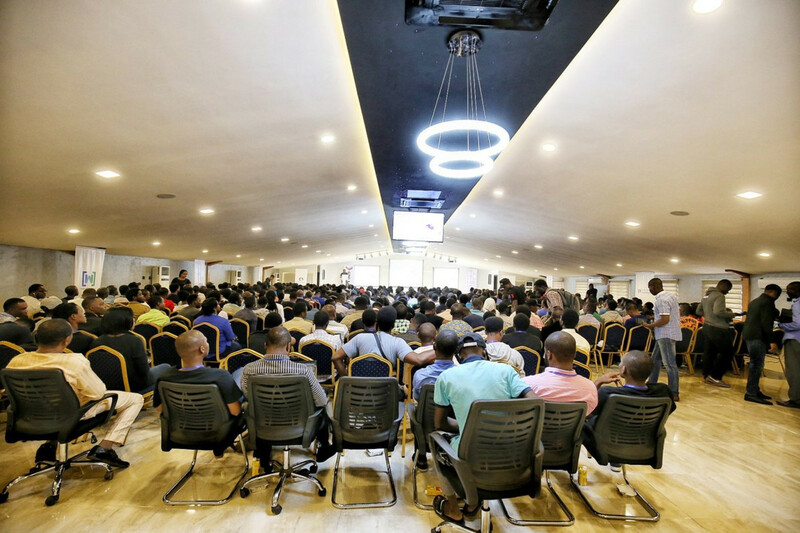 Google also created a new Google Launchpad space in Lagos. It’s the first space of it’s kind outside the United States, and it will be where rigorous quarterly programs are held twice a year. Google’s charitable arm, google.org, is committed to donating $20 million over the next five years to nonprofit organizations that are working to improve lives across Africa. It also pledged $2.5 million in initial grants to the nonprofit arms of African startups Gidi Mobile and Siyavula to provide free access to education for 400,000 low-income students from South Africa and Nigeria. Google.org will develop new digital learning materials that will be free for anyone to use. In a bid to create further positive impact in Africa, Google also plans to invite nonprofits from across the continent to share insights and innovations on how they could impact their community and beyond. For this purpose, Google will be launching a Google.org Impact Challenge in Africa in 2018 to award $5 million in grants. Applications will be open to any eligible nonprofit in Africa and the best ideas will be selected by online voting online open to anyone. 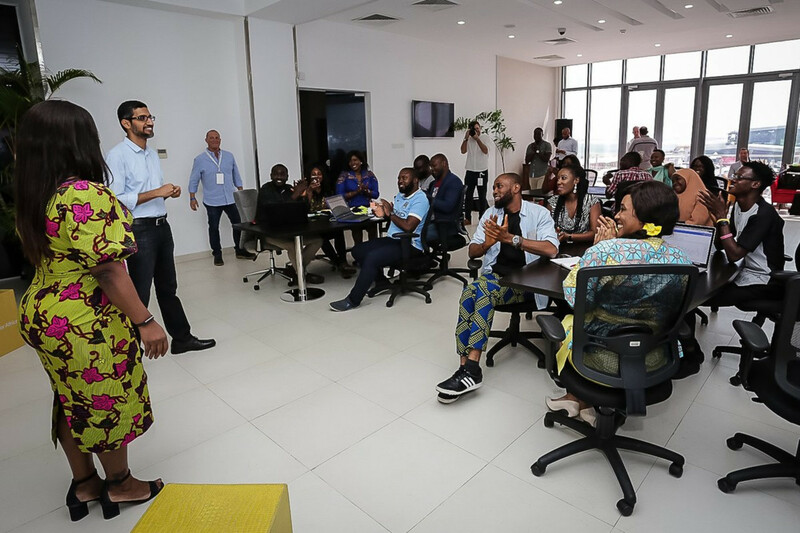 Google exceeded expectations of training one million young people in Africa when they set out to help bridge the digital skills gap in the region 12 months ago. Now Google plans to expand this program, committing to prepare another 10 million people for jobs of the future in the next five years. The helpful digital skills being imparted include teaching people how to build a web presence, using search to find jobs, using social media, getting tips to enhance their curriculum vitae, among other topics. With an initial focus on Nigeria, Kenya and South Africa, Google also plans to provide mobile developer training to 100,000 Africans to develop world-class applications. A new innovation from Google – YouTube Go – lets users discover, save and share videos they love. YouTube Go improves the experience of watching videos over a slower network and gives control over the amount of data used in saving or streaming videos. Nigeria is the second country where this app has been actively tested and later this year, Google has plans to launch a beta version of the app, which will be available to all Nigerian users. Having improved their address search experience in Lagos by adding thousands of new addresses and streets, outlines of more than a million buildings in commercial and residential areas and more than 100,000 additional Nigerian small businesses on Google Maps, Google then launched Lagos on Street View, with 10,000 kilometers of imagery. You can virtually drive from one location to the other in the city of Lagos, using your smartphone. 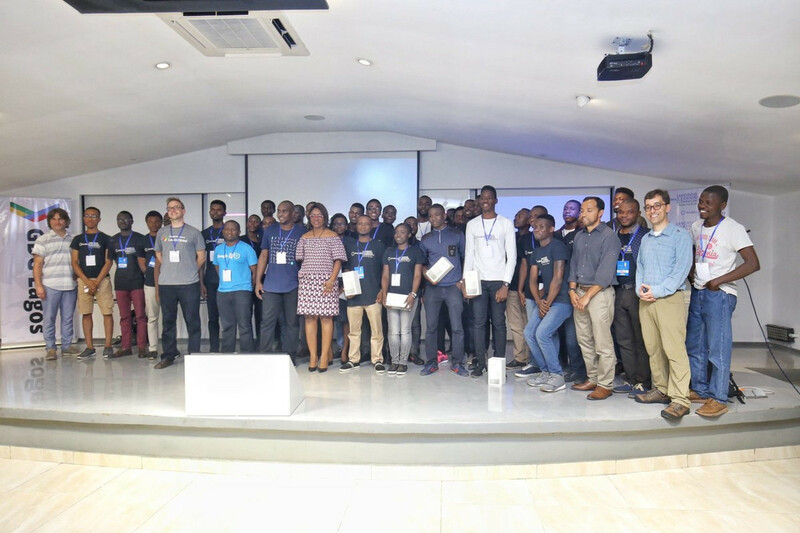 A few software developers had the opportunity to present their works and projects to Pichai after which helpful comments, insights and criticism were given. The day was rounded up with dances and displays to showcase Nigeria’s ethnic and cultural diversity. Feel free to explore the #googlefornigeria on Twitter for more exciting content from the event. 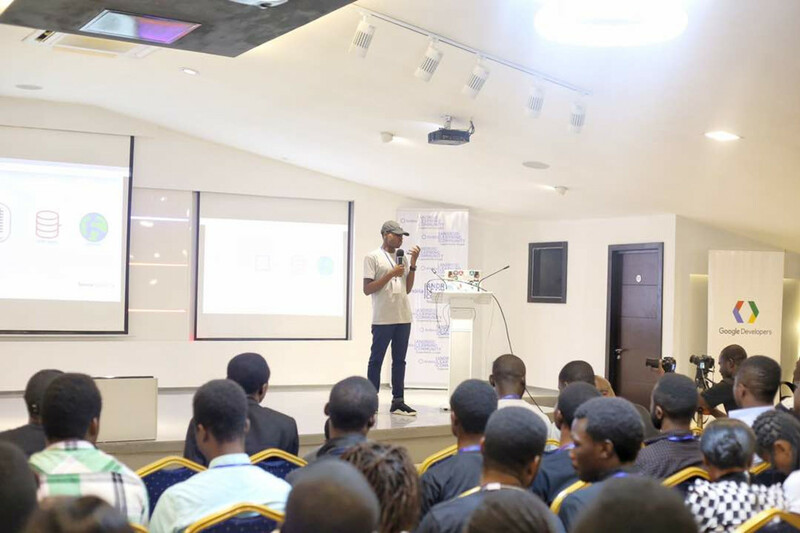 The following day, July 28, was the GDG (Google Developer Group) Lagos Conference. 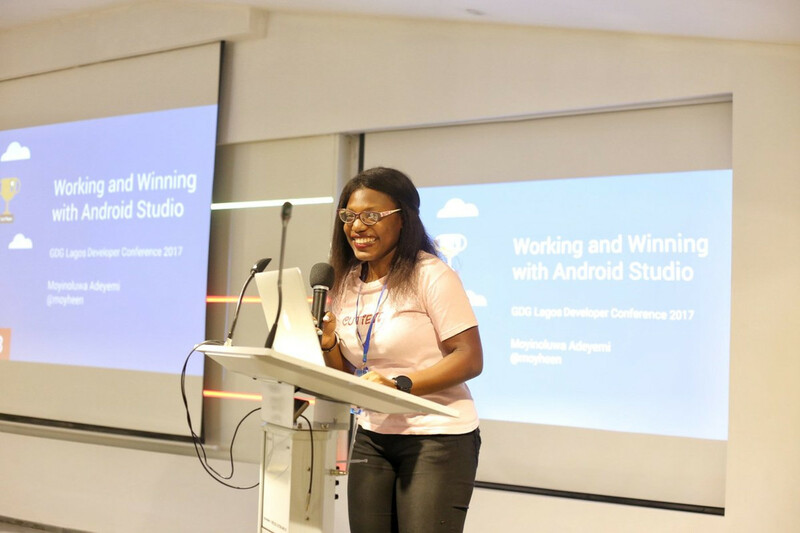 This event featured a theme of “Building World Class Apps: Tools I Use and How.” GDG Lagos is a group for those who are interested in learning about, and developing solutions and apps, using Google technologies. 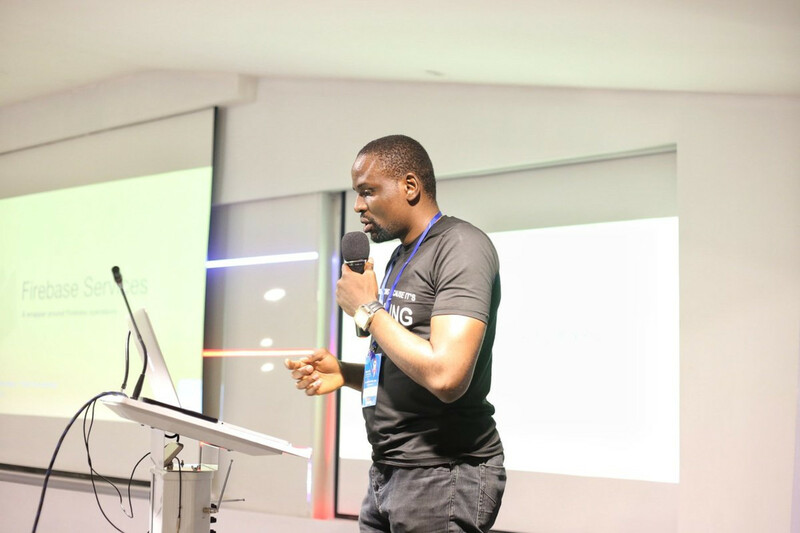 Moyin Adeyemi, an Android developer, explained how to work with, and achieve maximum results, with Android Studio. 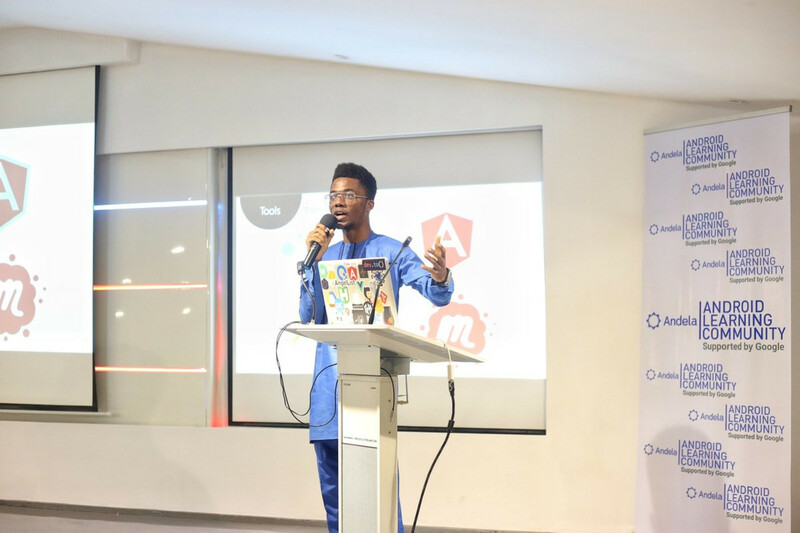 Timi Ajiboye, a full stack developer at helloworld.ng, talked about getting started with GraphQL. 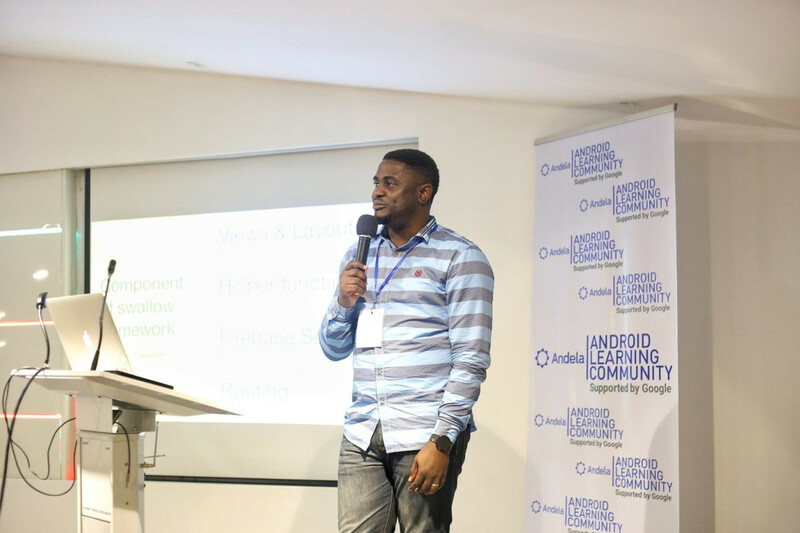 Adewale Abati, a freelance full stack developer and designer, discussed getting started with Gathered; an open source app for meetups. Sunday Akinsete, also a co-author of Swallow.js. Sunday's session, showcased Android apps built on Firebase. Bearing in mind that Nigeria and Africa as a whole is comprised of a lot of developing and under developed societies with huge populations, the Next Billion Users initiative (introduced by Google) is a perfect fit. This led to my talk on building apps that users in this part of the country can use effectively despite the lack of internet connectivity. My presentation started by describing the problems African users face. An average citizen can only afford a 3G connection both at home, and sometimes, at their offices. Even with these limits, average citizens are aware of content-intensive websites, like YouTube or Netflix. Bridging the gap between them and this content was the major problem. With an understanding of the problem, I started digging into the Progressive Web Apps (PWA) concepts with some funny slides to help the massive audience appreciate the topic and not get bored from the complex technologies behind the concept. I also illustrated the concept by relating to their typical life stories as Nigerians and the challenges they face with no/poor internet connectivity. Service workers, caches, web storage and manifest are terms that gets you thrown away when you attempt building PWAs. These concepts were explained with enticing examples. I also shared some statistics and success stories of Flipkart, AliExpress and Housing.com, which already use PWA concepts. Before the demo, I sounded a slight warning — reminding the audience that PWAs are most useful on mobile phones. Hence, they need to take care when delivering content to the users. The audience was advised to optimize their content, especially media content using Cloudinary; pre-fetch resources during idle times; split bundles and cache vendor files; load images progressively with Cloudinary; use lazy load routes, and so on. You can learn more from the slides. Midway through the sessions, the first set of graduates from the ALC (Android Learning Community) were announced and celebrated. Outstanding performers were awarded gifts, such as Google Home. At this point the event was drawing to a close, while tech enthusiasts networked, exchanged ideas and took memorable photos, the host of the event – Femi Taiwo, a Google Developer Expert –thanked everyone for coming and thanked Google for making massive impact on the lives of Africans, and Nigerians in particular. The attendees then came together for one last group photograph and the curtains were drawn on a great gathering that will be remembered for years to come. Thanks to Raphael Ugwu for helping gather event details!